DO take yourself off of the Speaker Pedestal. What do I mean by that? When you speak, the audience tends to look up to you—both figuratively and literally. If you are willing to share some of your mistakes and missteps that you have made, it can help take you off of that Speaker Pedestal and appear more human and real to that audience. (The above story of my first and worst presentation is an example of that.) Self-deprecating humor can be very effective because most audiences like a speaker that they can relate to—and being relatable is an important part of establishing a connection with them. I don’t mean insult yourself or put yourself down—but I do mean don’t take yourself so seriously. Do strive to be “in the moment” when you speak. If you are so concerned with the next word that you want to say, it’s hard to be aware of what is going on around you. Many times it’s those unexpected, unplanned moments where you can include some humor effectively. I attended a presentation where a sudden downpour caught the audience’s attention and everyone turned to look out the window. The presenter paused for just a second and then said, “Let me know if my ark floats by—I can’t remember if I tied it up.” Now that might not seem that funny now—you definitely had to be there–but the comment and the timing were so perfect everybody just busted up. The presenter didn’t ignore or try to compete with the distraction—he acknowledged it, made us laugh, and returned to the presentation. He could only do that because he was totally “present” for his talk. 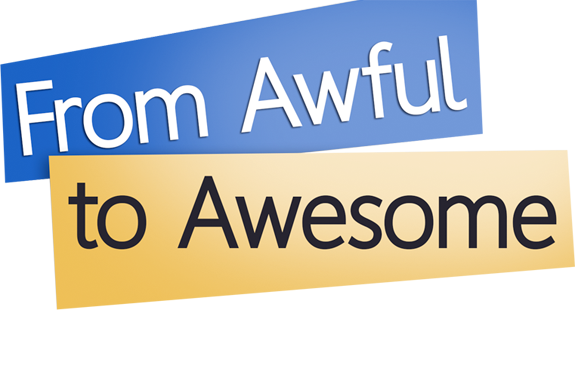 As we’ve outlined, including humor in your presentations has many benefits, including enhancing learning and helping establish a connection with your audience. 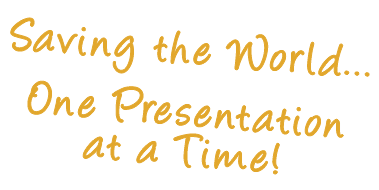 There is also a side benefit—it makes the presentation more fun for the presenter as well—and that’s no joke!